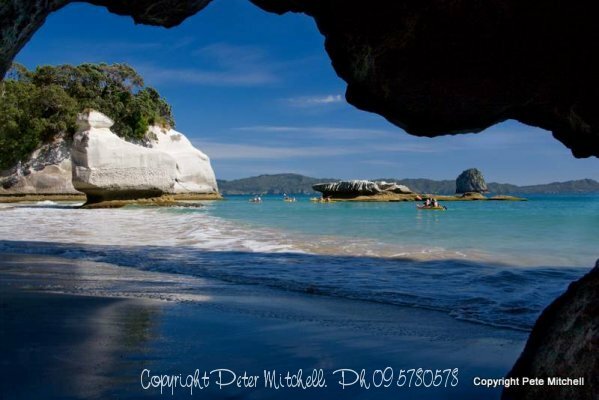 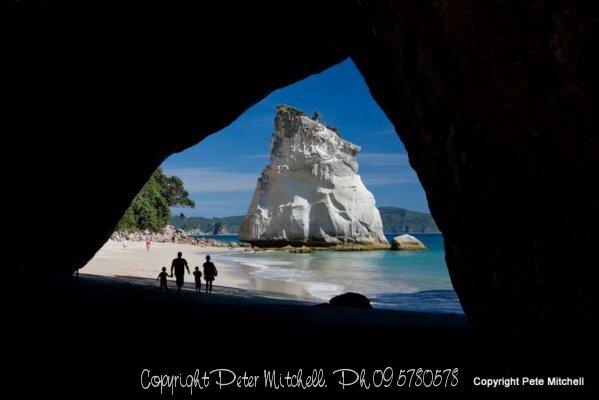 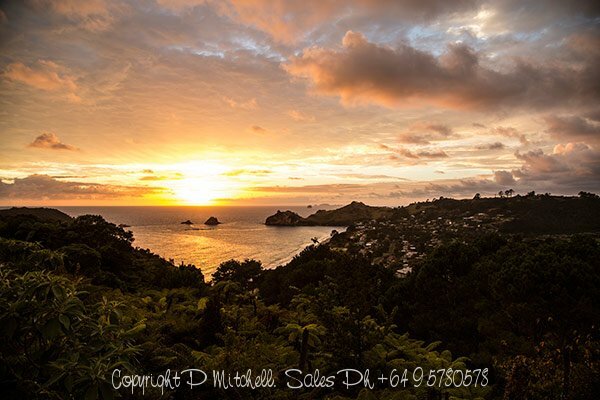 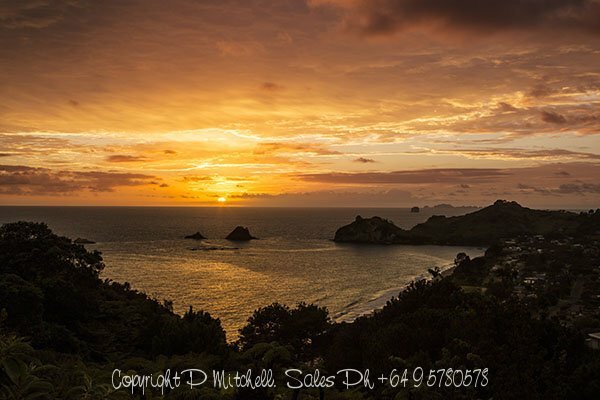 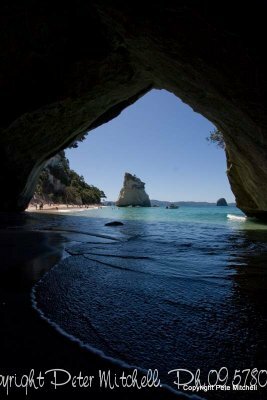 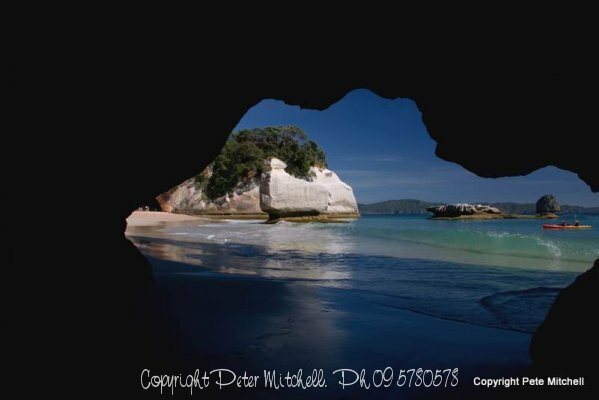 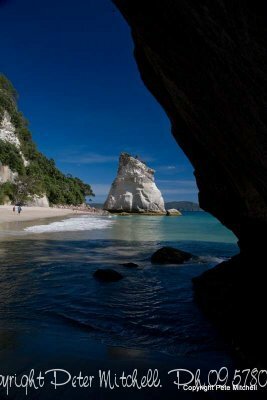 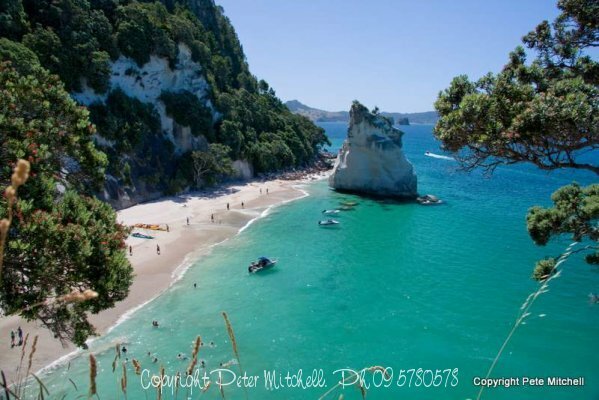 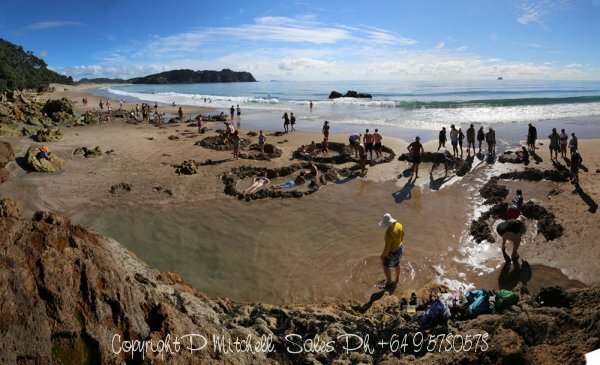 Iconic Cathedral Cove and Hot Water Beach attract thousands of visitors each year, and looking at these glorious stock photos of the area it is easy to see why. 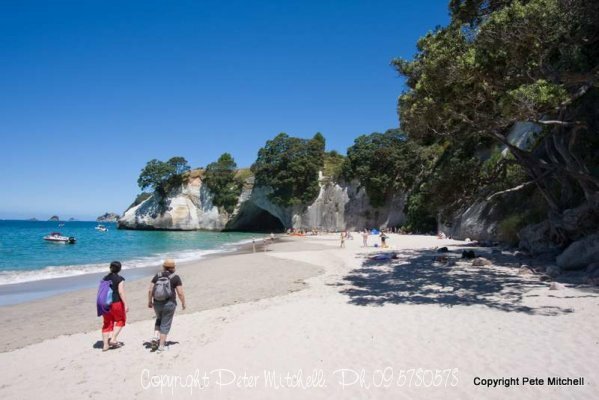 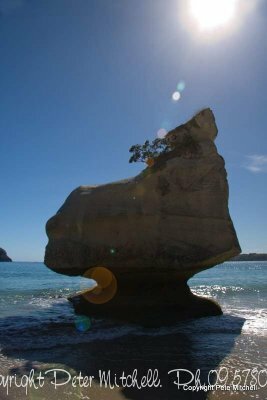 Cathedral Cove is not accessible by car, so people bush walk for 30 minutes to the beach and stay a few hours on the white sands in the shade of the native Pohutakawa trees that cling to the hillside behind the beach. 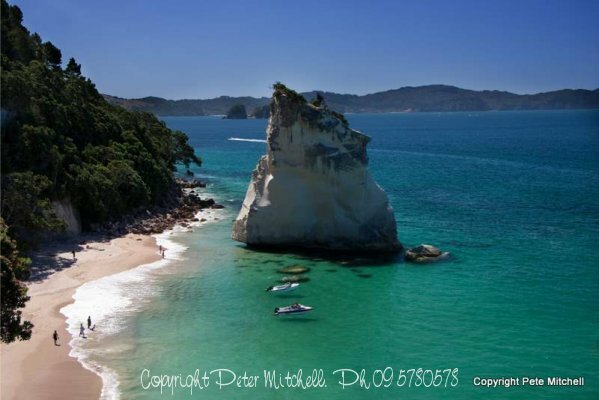 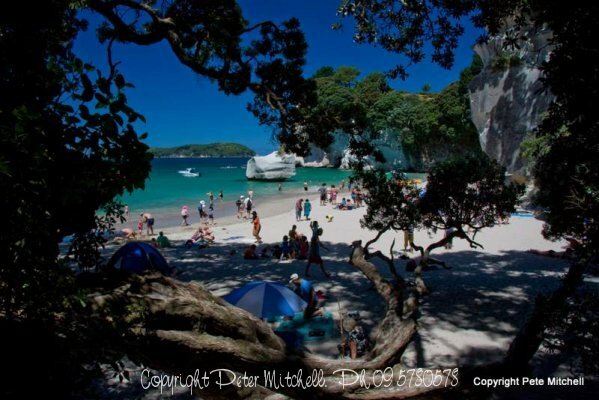 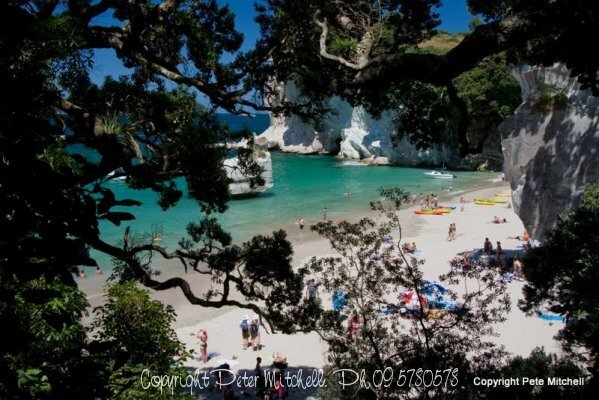 My stock pictures of Cathedral Cove show the crystal clear water and white sand – look how the boats appear to hover above the water. 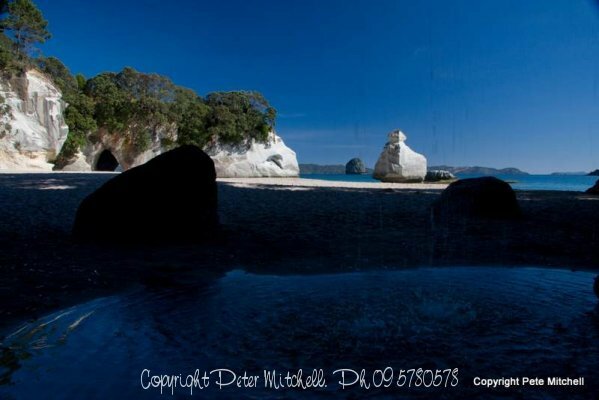 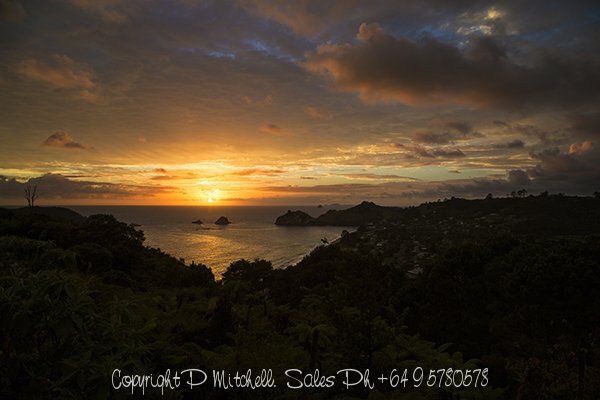 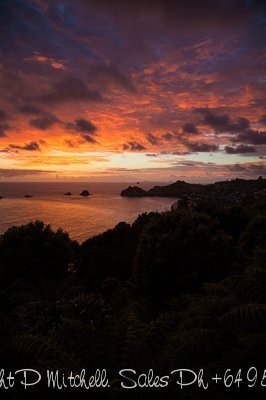 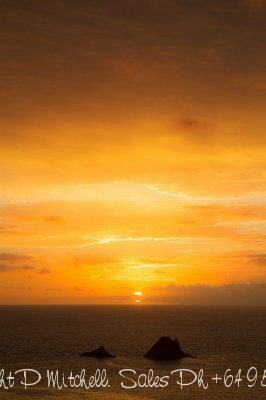 The sunrise pictures below are of Hahei Beach immediately south of Cathedral Cove, and then of Hot Water Beach where boiling spring water bubbles through the sand. 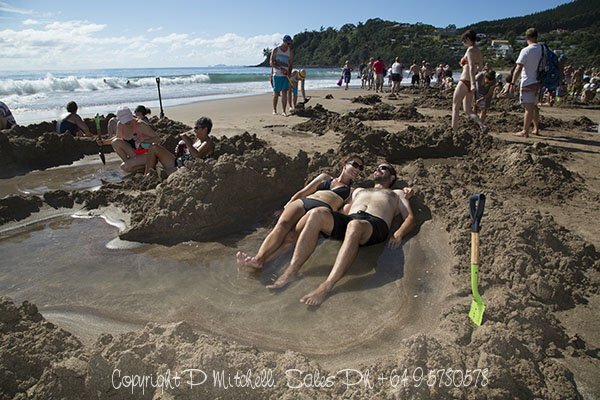 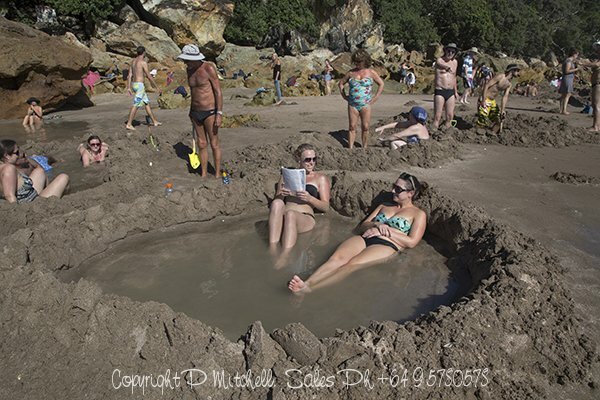 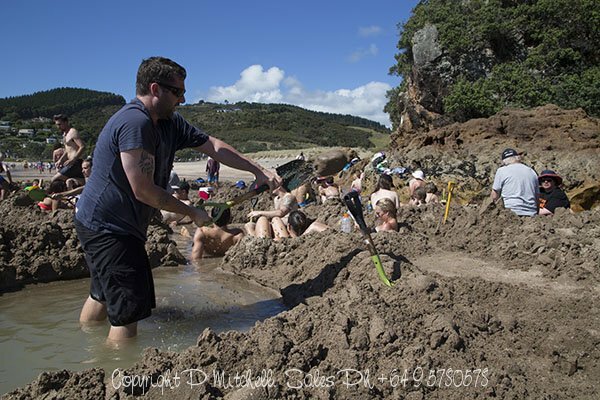 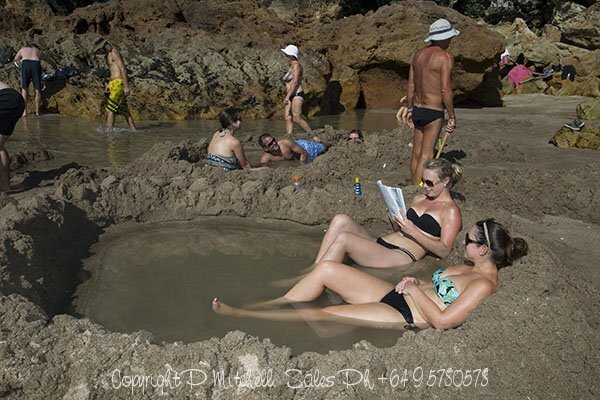 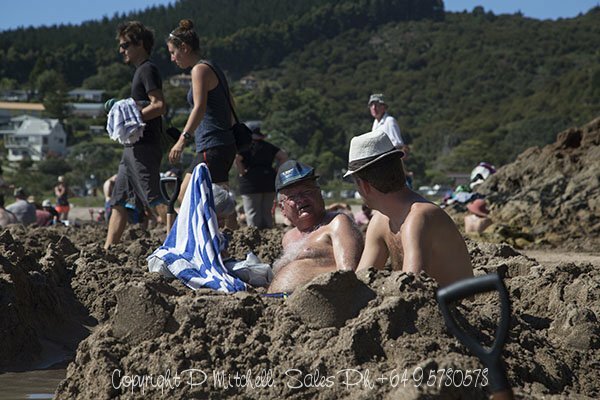 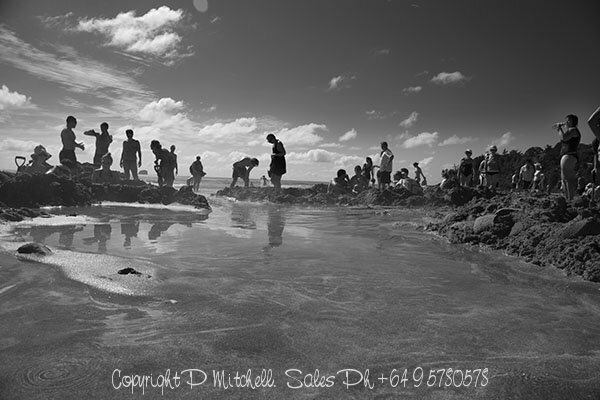 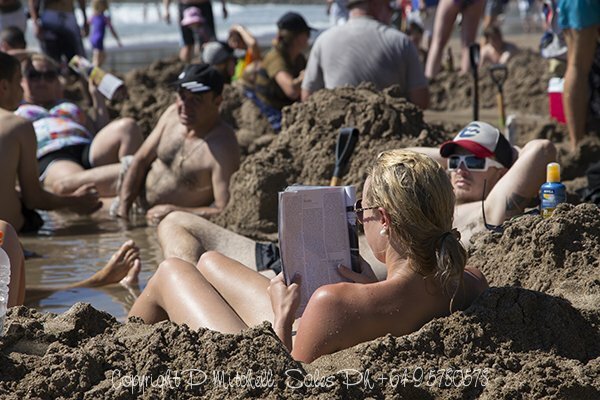 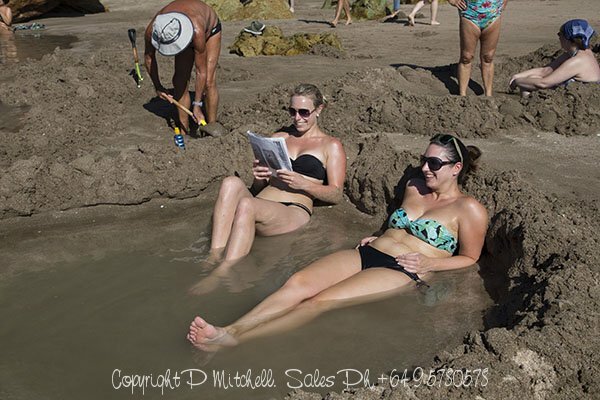 The people pictured have dug shallow sand pools to trap the hot water, are a sitting or lying in the steaming water.